The typhoon was quite challenging for the NZ kendo team with half the team flying from a water logged Nagoya airport to Korea and the other group led by Sue and Liz via an overnight cruise ferry to Busan. For some of this group of 8 it was their first time to experience a ferry but there was no sea sickness. Then a fast train to Seoul and another train then taxi to get to our hotel near Namdong stadium. This World Kendo Championships has had some unique challenges. However, the women's team did the best it has ever done in a world championship. Auckland player Shawn Zhang won her fights to get out of the preliminaries and into the tournament proper. She was defeated by a Netherlands player. In the teams event our draw was with USA, and Argentina. Christchurch fighter Akiyo Yamaguchi Ellin won a note (wrist) cut against her American counterpart, it would be the only point scored but we drew two fights to lose by three matches. In our Argentinian fight Rina Igararashi won her match, Shawn won hers and with strategic draws in the matches we took this win. For the first time in NZ history, NZ women went into the tournament proper placing us in the top 24 countries. We drew a very strong Netherlands team but this match was a nail biter. Fighter one took two points, fighter 2 and 3 drew their matches and fighter 4 lost by 2 points. This meant our Taisho, local Wellington player Haruko Tsuzuki, had to win by 2 points to create a draw. And she did! A wrist cut followed by a Men head cut kept NZ in play. What happens in this situation is called a Daihyosen. Each team chooses their best fighter for a one point match play off. Although Haruko had just fought we put her back in play. Sadly she lost to a head cut from her opposition but at this stage of the competition to lose by one point is still pretty good. This was evidenced in the awards ceremony when Haruko won one of 10 fighting spirit awards for the team match event. We can be very proud of our achievement. Hello, my name is Yu Kawamura from the Japan Local Government Centre (CLAIR) in Sydney. I am seconded from a town called Rokunohe in Aomori prefecture, Japan. Rokunohe is located in the northern part of Japan and is rich in nature just like Lower Hutt. CLAIR facilitates the international activities of Japanese local government, gathers information on local development efforts of other countries and helps communicate the Japanese local government system to the world. Our Sydney office supports Japanese government officials in New Zealand and Australia by facilitating visits and exchange programmes, liaising between local governments and researching local government systems for the benefit of Japanese prefectures and municipalities. Specifically, we support international activities of Japanese local governments, promote sister city relationships between New Zealand / Australia, and promote the Japan Exchange and Teaching (JET) Programmes and support JET Alumni Associations. I was undergoing an internship at Hutt City Council from 16 to 22 November. I was able to enjoy many great experiences such as visiting community hub facilities, meeting with students who were in Minoh visiting their Sister School and joining Japanese classes. 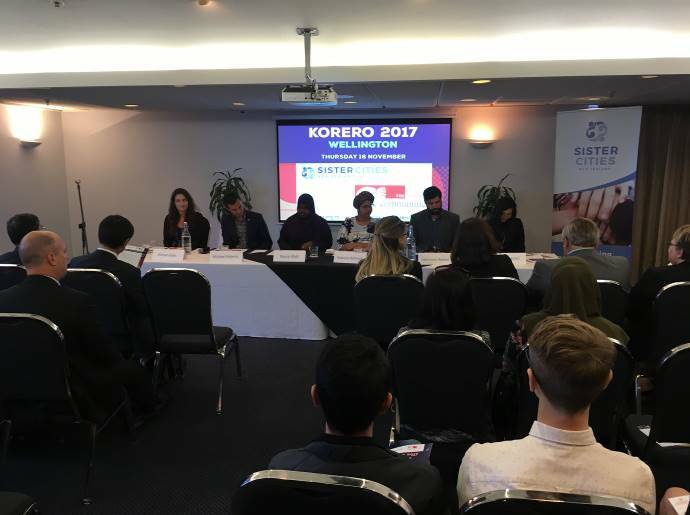 In addition, I participated in the Hutt Japan Day Festival and Sister City New Zealand (SCNZ) ‘Korero 2017’ function. I was able to learn more about policies and projects in Lower Hutt and the strong relationship between Lower Hutt and Minoh. Through my internship I was able to understand why many people who live in Lower Hutt have a deep attachment to Japan. Thank you very much for allowing me to undertake an internship in your lovely city. CLAIR will continue to support the wonderful and strong relationship between Lower Hutt and Minoh. 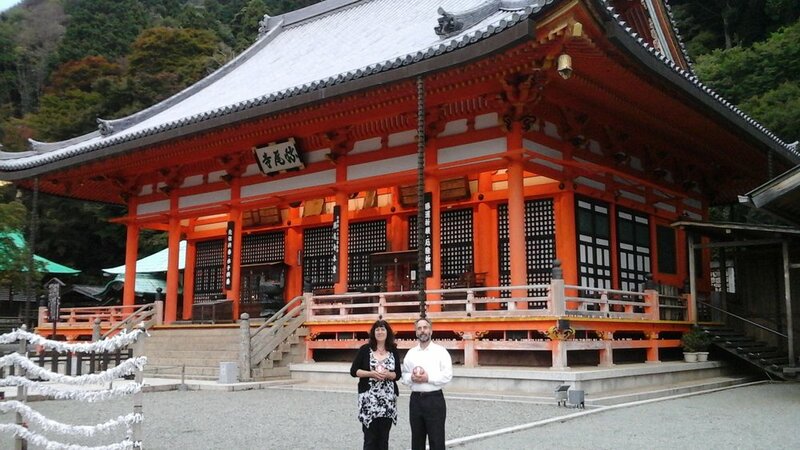 On the 17th August two teachers will be arriving from our sister city Minoh, Japan. They will be visiting six schools and an early childhood centre in Lower Hutt. Ms. Koike is a Year 5 teacher and Mr. Ariura is a Junior High School English teacher. While they are here, they will be teaching our students about Japanese culture, some language and learning about the New Zealand Education system. They are in Lower Hutt as the second part of the Inaugural Hutt - Minoh Teacher Exchange Programme. Lower Hutt and Minoh celebrated the 20th Anniversary of their Sister City relationship in October 2015. During these celebrations Mayor Wallace and Mayor Kurata signed an agreement to formalise the establishment of the Hutt-Minoh Teacher Exchange Programme. 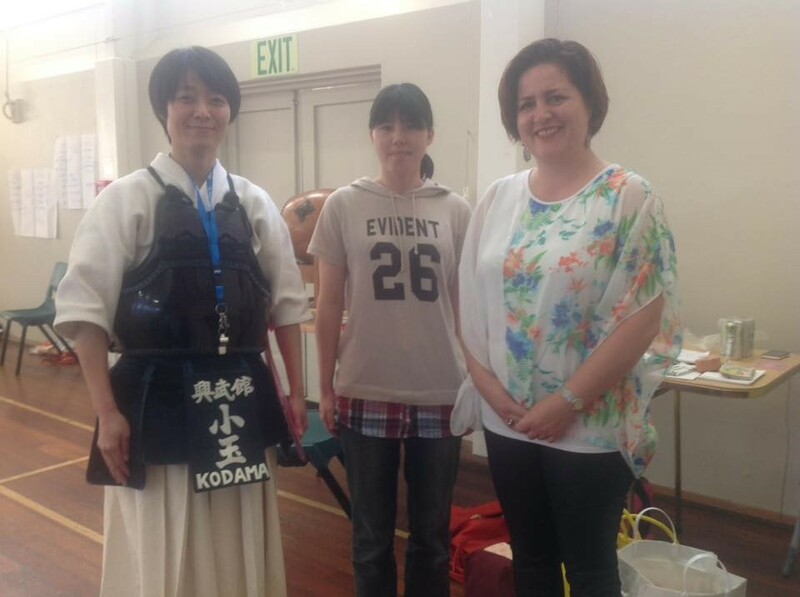 Hutt City Council Projects Manager, Linda Goss-Wallace and her Minoh City Office colleague, Noriko Ueno, worked together to establish this exchange opportunity for local teachers to experience educational similarities and differences and to embrace the culture and lifestyles in each country. 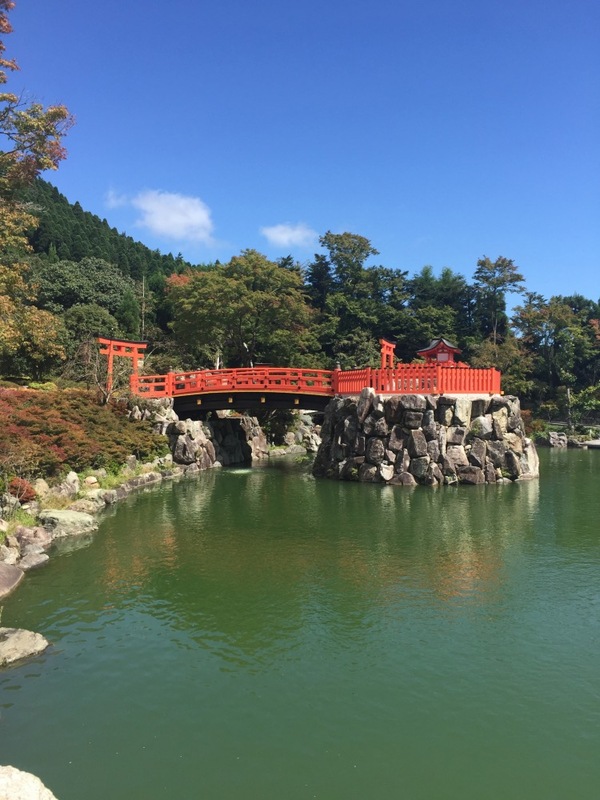 In October 2016, Michelle Gibson and Ardis O'Connor went to Minoh to visit schools and to see the Japanese education system at work. They taught the students English, and New Zealand culture. Michelle and Ardis worked very hard fundraising to pay for expenses while in Japan and to help pay for expenses while the Japanese teachers are in New Zealand. Hutt City Council contributed some money towards airfares and Michelle and Ardis have raised thousands of dollars during the past 14 months. This exchange has provided an amazing opportunity for cross cultural encounters involving hundreds of young people in the two cities. There are now many young people in Minoh who have seen photos and videos of Lower Hutt and of New Zealand in general. This programme has opened up the horizons of young people and has planted dreams for their future travels. 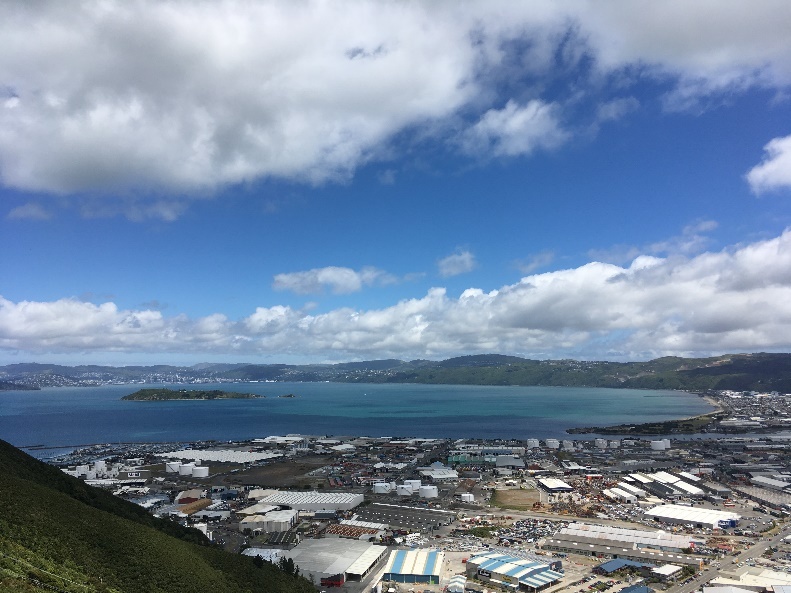 Judging from the Japanese students' "oohs" and" aaahs" while watching videos of Lower Hutt, they will head straight for the Days Bay wharf and the Hutt River Cycle trails when they visit. Thanks to Ms. Koike and Mr. Ariura, many students in Lower Hutt will soon see photos of Minoh's beautiful waterfall and Katsuo-Ji Temple in the hills above the city. It is a joy for these two beautiful cities to have links for hundreds of young people. 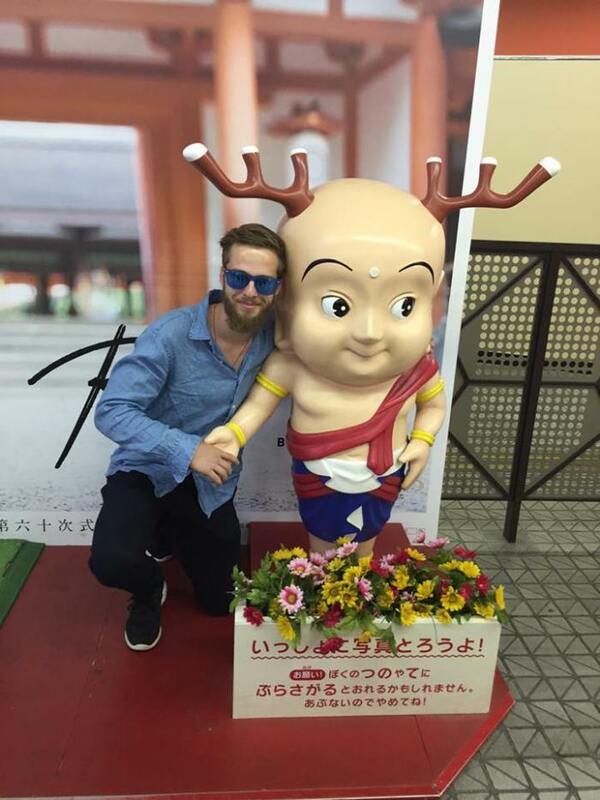 Over the Christmas festive season, our friend and blogger Martin has been very busy exploring Japan and providing insights into the life of a Hutt boy living and working in Minoh. I have seen the dark abyss of a child’s mind and it takes form as a Japanese holiday. To put in to words the fear in the eyes of a child who is put through this torture is indescribable. This truly is the darkest festival I have witnessed and participated in to this day, the Tengu Matsuri. I think back to my first horror movie and the fear that it lay in to my poor virgin soul. Fortunately at the time I could console myself with the knowledge that these terrifying characters on screen had no presence here in the real world. Sadly for these Japanese children, Tengu creatures are not virtual images on a screen, they appear in the night to reap havoc and physical harm upon children. This is a reality that I cannot imagine experiencing as a defenceless juvenile. Every tear shed by the innocence that night was justified. Allow me to foreshadow the events of a Tengu Matsuri. Essentially, it’s a festival, a day for celebration, which should connote festive feelings right? You would think so. And I certainly thought the same as I walked up to the temple in the late of evening. Food stalls and happy families filled the streets. The atmosphere was brimming with fervent laughter and cheerful faces. Many of my students were present and in the prime of their happiness, perhaps doing their best to hide the anxiety welling up inside them. Then it began with the beating of a ceremonial drum (insert yet another Lord of the Rings reference). The ephemeral cheerfulness on the kids’ faces collapsed completely. Like a flame to an ant hill, they scattered in a wave with enough force to knock down a small elephant. I was drawn up hill toward the sounds of muffled screams under the deep bass of the drum. There at the temple doors under the lantern light stood a dozen men in but white dressing around their waste and groin, brimming with inebriated smiles. A beautifully crafted hand-mechanized dragon with lustful hunger in its movements swayed on the veranda, inciting terror and apprehension in to the white-faced children doing their best to hide in the ruffles of their parents’ clothing. And then came the Tengu... Okay I need to be as clear as I can about this. Tengu are Japanese goblin-like creatures with long noses and hyper-aggravated expressions on their faces. And the men that dress up as these characters: temple monks – oh yeah how intimidating can a monk be? Well as it were… Extremely. All the temple workers congregate prior to the event and drink together until they are swaying with intoxication. Then when the time comes, they don the costume of a demonic creature before running in to the crowd of visitors with bamboo sticks, smacking anyone they can get to. I’m serious. Drunk monks run around in a terrifying costume and beat upon people’s heads. It is said that being hit by a Tengu should bring good luck to the victim, hence the reason to celebrate such barbarity. I’d never seen anything more brutally old-fashioned in my life! I was hit five times to a point where I was bleeding from the skull, literally. The expression on my student’s faces upon seeing me wounded by these drunken creatures was priceless. If they weren’t already terrified, they were then petrified. It was so much fun! And yes I feel luckier. So The Tengu Matsuri takes the cake for the highlight of the month. But then there was the Eikaiwa session where I volunteered to give English lessons to older citizens here in Minoh. Here I was told wonderful stories of yesteryear from the voices of wisdomed men. On the topic of sport, I learnt a lot from these men. One of them was a table tennis champion here in Osaka which of course is no small feat when this is the second largest city of Japan. Then I met a man who is now a professor in the study of martial arts. His stories could bring the dead back to life. Then I met a man who grew up in a mountain village where they would ski to school everyday. He showed me photos of the place and this village was seriously the manifestation of a fairy tale. There was so much experience at this one table and it was so fascinating that I quickly forgot that I was a volunteer worker and not a cross-legged child listening to folk stories. I listened to these tales of Japanese heros like I listen to Led Zeppelin’s No Quarter, in complete mesmerisation. On the topic of music, when I first brought up that I was very fond of small-venue gigs I was told by the locals that they scarcely exist. This is not true. We found a café that has live music every weekend and it is fantastic. The performers of the night were so enthusiastic, so passionate; they were clearly riding the ambition of becoming the next Radwimps, rising up from the smalls of Osaka pub-venues. Their energy and creativity reminded me of the fervent expressionism back home in Wellington. It was beautiful. The following weekend, we went to yet another small-venue music event in what felt like an apartment more than a venue, with just the addition of a bar and complete turntable setup. A Steve Zissou lookalike manned the tables for a period of the evening, and getting to know him I discovered there is actually a very present, though esoteric scene here for such events. He had moved to Osaka as an English teacher only to become an events manager of electronica/drum n bass events. There were a lot of these types here actually, visitors turned resident. It’s a reality that many come face-to-face with when the beauty of Japan engulfs them. Perhaps I will empathise with these figures one day. So following this ephemeral apartment intrigue, I managed to crane myself out of bed early next morning to attend my first ever American Football game. I felt a sense of irony attending an American Football game in Japan as a kiwi who knew only rugby before this day but it was hugely thrilling. I loved every moment of it. I now have a new passion for a new sport. Some of the plays made by this particular team were so advanced that I couldn’t help but feel awe at the level of profession. It’s an experience I heartily recommend to anyone who should so find the opportunity. A friend and I were escorted to this game by a pair of local girls which leads me to my concluding point. I implore that should you ever visit Japan, be it for a week or a year, go and meet the locals! You will never see the real Japan as a tourist. All the best places I have visited here have been recommendations by the locals. 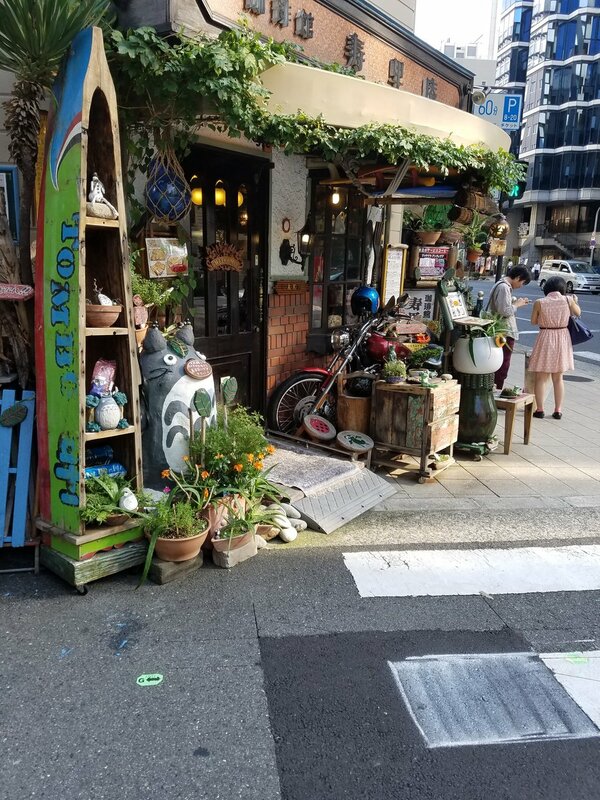 From the video game bars to the unique clothing stores, to the secret serene areas void from hordes of tourists and locals alike, you must exert yourself and really engage the residents here in order to experience Japan at a truly authentic level. You won’t regret it. I have never met a Japanese person who is uninterested in having a conversation, and you never know where it will go. Chaos theory, though chaotic, will lead you to the most beautiful ends. I am a bonafide sensei. I am responsible for the education of juvenile delinquents. Sadly, all those Japanese samurai films could not prepare me for the position. I feel more like a herder of sheep than an educator of language. Never have I had to contend with such volatile energy. To explain the situation as a mere culture shock would be a gross understatement. I find myself physically drained by their fervent outbursts. Honestly though… It’s absolutely brilliant and I love it. I had heard only good things about teaching in Japan, until a mere handful of days before I was set to teach. Meeting with the JETs of Osaka, I was fortunate enough to learn of the many horrors that can come from teaching Junior High Schoolers. For starters, I was told of the deranged Southern Osaka school kids who rip up their textbooks and jump out windows. I was told of female teachers having their bras unhooked in the hallways and male teachers being grabbed by their fifth limb to compare size. Students use the school grounds as their home away from home, doing whatever they want, sleeping wherever they want, and disregarding any form of authority. These stories were the first reality check I had experienced since arriving in Japan a month earlier. Needless to say (but I will for the sake of dramatic intrigue), I was a little shaken. Like setting up defences for the siege of Helm’s Deep, I prepared myself mentally for the nightmare I was soon to endure. But then the first day passed without a hint of misconduct, and then the second, and the third, and the tenth. Still today, weeks after my first day as an English teacher, I have yet to experience anything demotivating or even remotely degenerate from my students. In fact, I believe my school to be the best-behaved school I have ever entered, a shining star amongst black holes perhaps. The kids have such energy. The teachers are motivated and compassionate toward their students and the general vibe that umbrellas the school is a cheerful one. Being here has already improved my own state of mind. I should make it very apparent though that despite my school’s great personality, there has still been a lot of adjusting to do. Unsurprisingly, things are just a little different in Japan. In order to offer context, junior high-schoolers are aged roughly 13 to 16 years old. For me, this was a very confusing age, during which I went through puberty and explored new avenues of pain and pleasure: romantically, spiritually, and intellectually. Thinking back on my own experiences at this age, I am concerned about the effects that this point in one’s life can have on a person. And yet, there are few dramas to report. Most of these kids arrive to school with a smile on their dial. My memories of this age are fraught with melodrama so it’s such a refreshing feeling to see that the children here are less jarred by the disturbances that this time in their life brought me. I must say that my norms have been challenged a great deal in Japan. What I consider to be status quo is often radically different here. It’s the way students present their affection for one another that has me raising the brow. Sometimes I fear to turn a corner at the risk of seeing something that could damage my retinas. I don’t want to overdramatize this at all, I’m sure it’s not that big a deal, but these teenage boys really enjoy each other’s physical company. In the four weeks that I have been teaching here at Go-Chu, I have seen a plethora of rambunctious teenagers asserting their love for one another with what I can only describe as a very contrast set of gestures. Whilst the girls engage in the standard mode of affection through the means of group huddles, fuelled by roaring giggles, the boys literally mount one another. I have seen a cornucopia of strange food groups created by boys coming together. I have seen pancake stacks, five boys high. I have seen bacon on the skillet. I have seen human sushi rolls. The list is endless. And nobody bats an eyelid. It’s completely normalised here. You can only imagine my reaction when I’m invited to join the “fun.” I assume that with my narrow vision clouded by preconceived notions of school etiquette, I react in a very foreign way to what is a native commonality. I am still very much the new kid on the block and it will take time to get accustomed to Japanese norms but sometimes I feel like a leopard amongst lions and it’s startling, yet, fascinating. Teaching has already had a huge impact on me. The micro humans at my school are incredibly polite and affable creatures. I have already chosen a few favourites to mentor due to our mutual interests, and I hope that my presence here can have a positive effect on them. I think teaching is for most people, an innate skill that can be activated by a catalyst - such as starting a job as a teacher... Seriously though, I wasn’t sure it would be a job for me. I certainly didn’t want to be a teacher when I was still in school but now I find myself becoming compassionate about the job. It’s hugely rewarding. There is a no photography policy in my school so here are some photos of what I’ve been doing with the rest of my time this past month. With great ambition comes great loss. Amidst the excitement of preparing for a year abroad, I almost forgot to think upon the effects of leaving my friends and family in New Zealand for the sake of Japan. One of the most life-threatening situations for me is to be in a state of comfort. To be comfortable in your job and in your home, with your friends and with day-to-day life in general, is life-threatening. Living in such a way invites one to become a potato and neglect adventure. The push it takes to get out of that state will often have to be a big one. I think that in this regard, I was fortunate to have a whole 9 months to work up the strength to push out from my comfort zone. The ticket: The Japanese Exchange and Teaching (JET) programme. Applying for the JET is an arduous, lengthy process, which separates the weak from the willing. The application papers alone are dense with interrogative questions. If you can swim through that ocean, however, you may be asked to interview for your position in JET. Now, this interview takes place two months after the application submission date in November so come January, Christmas and New Years have passed. For me, the summer sun had already seeped in to my brain, and I was basking in festive carelessness. I wasn’t thinking about JET whilst we swam through the gorgeous waters of New Zealand. The email informing me of this interview was a cold shower to my 30 degree, browning skin. A panel of three women were waiting to greet me at The Japanese Embassy on the 18th floor of The Majestic Building in Wellington City. Their in-depth questions were unnerving, but I felt confident in my answers. None the less, I walked out of that building with a degree of doubt in my mind. And once again, I had to wait… and wait. It wouldn’t be until April, shortly after Easter that I would hear any news regarding my status for JET. So yet again, I waltzed in to a state of uncaring, not thinking too hard on whether or not I would be leaving for Japan this year or not. My father and I were sailing down the Pelorus Sound for our Easter holiday when I got the email. I had been selected for The Jet Programme. Honestly, this moment for me was life-changing. At first, there was shock, then excitement, then contemplation, then sorrow. There was so much to think about. I sat at the bow for a good hour, just wondering how my future would look. The remaining three months in New Zealand felt like a 7-second vine edit from a full feature film. They were over in a flash. I said my goodbyes, packed my bags and made for the airport on the 31st of July. Leaving my life in New Zealand wasn’t so difficult, I knew I would be back before long; however, leaving my girlfriend was like removing a part of my person. Words cannot describe the difficulty of saying goodbye to the person you love more than anyone else… so I won’t put it in to words at all. 30 Wellingtonians left on that plane with me, all headed for Japan to start their new lives with JET, only ONE would survive. No but seriously, my destination: Minoh, Osaka. Fast-forward one month; I am now working as an Assistant Language Teacher (ALT) for Daigo Junior High School. I have a desk, garnished with decorative Kiwi iconography, I have a brand new bicycle complete with the basket, and I have a room with a couch, yes a couch *enter Richard Branson joke here. * Setting myself up has been a lot easier than I had expected. I can thank Minoh Association For Global Awareness (MAFGA) for that. However, I have met a number of bumps in my adjusting to Japanese living. Arriving in Tokyo, I was fortunate enough to be battling a flu from New Zealand. It not only made me extremely tired, sneezy, coughy, and watery-eyed, it also made me feel like patient-zero, ushering in a new disease to a virgin country like a harbinger of the zombie apocalypse or the next swine-flu. For three days I sat through lectures on Japanese etiquette, teaching protocols, and workshops on how to play Simon Says. The experience was excruciating. This little bug wouldn’t stop me from exploring the streets of Tokyo, however. The first night in Tokyo, we fled the glamours of the gaijin hotel, and made for the streets with ambition in our hearts. Neon advertising and sky rise buildings set the mood for a massive culture shock. We strayed through the mysterious, magical maze, like mice on the move for a manchego monolith. And we found it. A group of six over-conspicuous foreigners walk in to a Japanese restaurant – punchline. An elevator takes us up past the many levels of seating for this restaurant chain. We exit the 1.5 cubic metre box in to a cloud of smoke that fills the room. Ushered to our seats, we find solace beneath the smog. I would be lying if I said it did not enjoy the atmosphere though, the smoke offered an authentic Japanese feeling. The place is bustling with locals filling their stomachs with the wondrous gyoza, okonomiyaki, and dollar beer. I replace my flu symptoms with those of the town belligerent for a night. Before long, our adventure takes us to the red light district, deeper down the rabbit hole. 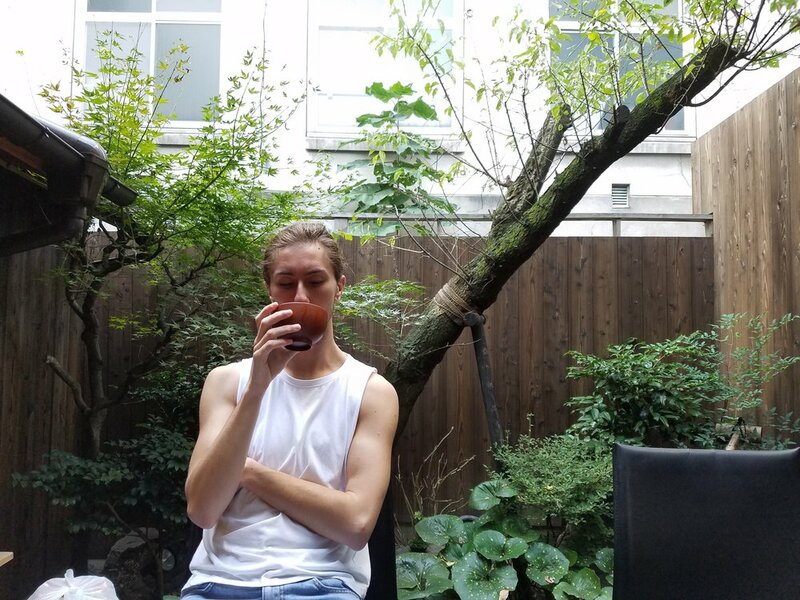 Japanese people have quite a drinking culture, and as such, it’s far too easy to find places that offer Nomihodai, better known to me as all you can drink. This experience cost us ￥2,000 or about $20. The overwhelming culture shock soon settled, and before long so did we, back to our gaijin hotel, but not before seeing a number of unforgettable sights. Tokyo was exciting when we were out of the hotel. We had our first experiences with Japanese food and drink, we visited Hachiko at Shibuya crossing, I got a fitted suit by an over-touchy yet charismatic Japanese elder. It was great, but after three days of JET orientation, I was excited to get to my new home, Minoh, Osaka. Feeling very much worse for wear, I was taken to Osaka via shinkansen (bullet train) to meet my contracting organization. Did I mention it was the middle of summer and close to 40 degrees? In full suits, a dozen of us met our contracting organization under the beating sun. They were quite amused by our formality. It turns out that Osaka people are far more relaxed than those of Tokyo, a trait that works in the favour of a Kiwi boy. The reception was lovely and we soon felt quite at home. A welcoming party was organized for us to meet our school principals, some local figureheads, and the Lower Hutt (My Hometown) friendship club. There are five Wellington cats here in Minoh and we all lean on each other for just about everything, it’s very comforting. A large number of other JETs have also played a role in our feelings of comfort. Typically, I have only excellent things to say about living in Minoh thus far. The people are so friendly and the area is beautiful. We are right next to the city, and there is always something interesting happening. It feels like there is a festival every week, you can’t travel ten blocks without seeing something going on. Our first weekend was spent at a Fire Festival and a Summer Festival. The fire festival began with children walking lanterns up a river, yes it was cute. Then without notice, there were Japanese wrestlers running around with flaming torches and after that the locals began spinning flaming staves, much to the delight of the audience. It set the scene for a good night. The Summer Festival, only 15 minutes West, was like a street fair with all sorts of food such as omusoba (yakisoba noodles wrapped in an omelette), games for kids, and a stage for comedy performers. It was a great way to meet the locals; you will find that almost everyone wants to talk to the new foreign kids on the block. The schools are on summer break for the majority of August, so there was plenty of time to get properly acquainted with the area. We’ve been to Rinku, a nice city south of Osaka with an attractive shopping area by the name of Pleasure Town. We have made numerous trips to Umeda for the Pokémon centre, the crazy huge arcades and the sky building. We have been to a plethora of temples, shrines and worship sites. We went to the breath-taking aquarium in Kaiyukan. We’ve visited Todai-ji Temple in Nara for the world’s largest Buddha. Nara is also home to thousands of tame deer that will bow for a biscuit. I strongly recommend going to the treasure museum which contains 8th century statues and memorabilia, as well as a thousand-armed Bodhisattva that will stare in to your soul. We spent our most recent weekend in Namba’s Dotonburi where the city changes its colours after hours and you don’t want to go home until morning. I’ve seen beautiful Japanese architecture, Japanese 73 fold damascus knives, and the views of the largest cities in the world. I’ve eaten some of the best food of my entire life and gazed at spiritually penetrating sights. It has been one month since I arrived in Japan and already I’ve been inundated with splendours beyond my imagination. I am filled with vigour by the wondrous place I now live in. I am beyond excited for what is yet to come. Tomorrow I will officially begin teaching English to Junior High Schoolers as a bona fide Sensei. Wish me luck. Minoh Visit report from Rosemary, Management Committee Chair. She has returned from two weeks in Japan in July. She spent a few days in Minoh. “Visits included a 6am trip with my homestay host to Banpaku Kinen Koen, the former Expo 70 site near Minoh, for their lotus festival. I was one of the lucky 300 to drink sake through the stem of a lotus leaf. You sit down and they place the stem in your mouth and pour a little sake into the leaf. After you have drunk it, they shorten the stem so it’s clean for the next person. I was surprised to learn that in Japan you can’t drink any alcohol and drive. “It was wonderful to see crowds at the former expo site which was of special interest to me when I was a child. My parents took me to see the short film This is New Zealand made by the National Film Unit for the New Zealand pavilion at expo. It was digitised in 2007 and in 2014 DVDs made available. I've just bought one and was delighted to see the full film again. You can see the intro at http://www.nzonscreen.com/title/this-is-new-zealand-1970. “Kawashima-San, from the Hutt Club in Minoh, and I visited the Assumption Catholic Girls School in Minoh. We read The Taniwha of Wellington Harbour kamishibai in English and Nihongo to a group of six-year-olds and gave the school their own copy. Former student Miho Maeda joined us for the visit. We gave the school material from Sacred Heart College which welcomes fee-paying international students. “My visit included a service at Koinonia Christ Church (where I was invited to speak and brought greetings from Hope Centre in Lower Hutt), a welcome party by the Hutt Club, a visit to the Asahi Brewery, and meetings with MAFGA, Mayor Kurata and the group translating Lower Hutt - The Garden City into Nihongo. “I spent a day in Sakai with my 2009 trip homestay host. She is teaching calligraphy to children and I enjoyed watching their class. “Most of the remainder of my visit was with Minoh House calligraphy tutor Akiko Crowther, fellow student Karyn and her husband Jeremy. We did some sightseeing in Tottori and Kyoto, including the famous Gion Festival, and some calligraphy-related visits. “The trip was fantastic. I coped well with the heat - up to 34 degrees but dry heat. Thank goodness for air cons. Thanks to Akiko and my hosts in Minoh for all they did to make the visit so enjoyable. This report is to thank the Hutt Minoh House Friendship Trustfor the generous donation towards the NZ Women’s Development Seminar held April 31 - May 1st 2016 in Naenae, Lower Hutt. The woman on the left is Kodama Makoto Sensei who is a Kendo Champion in her age division in the Tokyo region of Japan. The woman on the right is Hayama Aboutaleb who has represented Australia at the World Kendo Champs five times. The primary teacher of our Women’s Development Seminar was Kodama Sensei and Hayami Sensei came across from Adelaide to take part and help out. We had 20 women from 13 – 57 years of age attend this two day seminar. The aim was to bring women together to learn from a high level female Sensei so as to encourage their journey in this martial art. As Kendo (like most martial arts) is male dominated, having a space for girls and women to interact was most special. 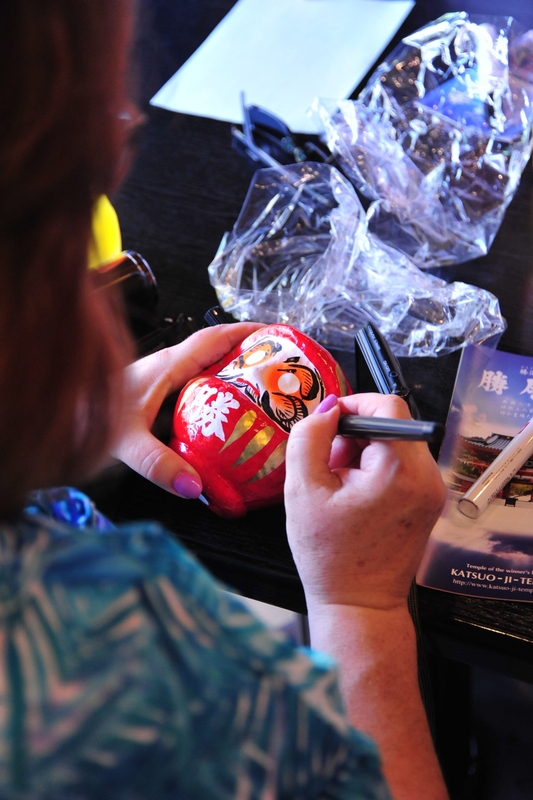 It was also a chance to bring a burst of Japanese culture to Naenae for this weekend. The funding helped to subsidise the cost of Kodama Sensei's airfare to New Zealand. This enabled us to guarantee that a high level female Sensei could visit Hutt City and also, to make the charge for the whole weekend including accommodation, food and airport transfers $115 per person. This made the seminar very cheap and affordable, especially as many women travelled from out of town for this seminar and many are mums and students. It also allowed a cultural event to take place in the Hutt Region and we were very lucky to have Miho Maeda visiting and a representative of the Trust, Amber Walters, who were able to attend and present some shiai awards on Day One. You will see in the photos that we had lectures as well as active learning. 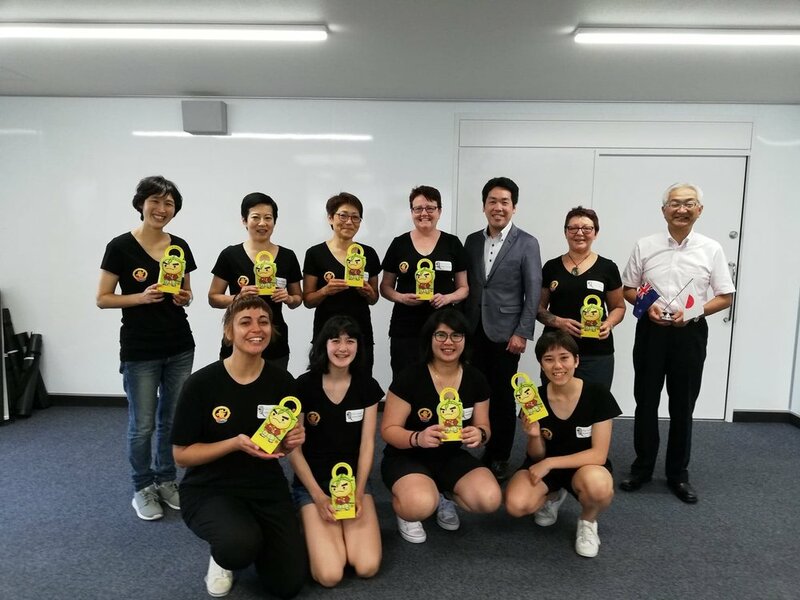 As a teacher of Yoshinkan Kendo Club- Hutt and also together with Akiyo Yamaguchi, as Women’s Kendo Development Officers, we want you to know how valuable one of the grants in 2016 was. Brown Owl Kindergarten were recipients of a $500 grant from Hutt Minoh House Friendship Trust in March 2015 to help create a $1500 Zen garden. They write: “Our newly completed Zen garden developed in consultation with one of our families is located in a previous "dead" area of our centre. We had a number of guiding principles that were key in the drafting of our outdoor development plan. Celebrating cultural diversity and providing a place of solace and peace in our children's often highly stressed lives was crucial to this plan. It is now an area enriched with subtly trickling water, smoothly rounded pebbles, larger stones of colour that change when touched by the water and young plants. The children have been enjoying their exploration of this area, making observations and enjoying the sensory pleasures of the space. When one of the teachers was calling the children in for Mat time at the end of the day, a child piped up whilst sitting in the Zen garden and said “I’m just busy sitting here thinking” which shows they are already using the area as we intended. Five young people from Lower Hutt will soon be heading to Minoh, Japan to teach English on the JET (Japan Exchange Teaching) programme. 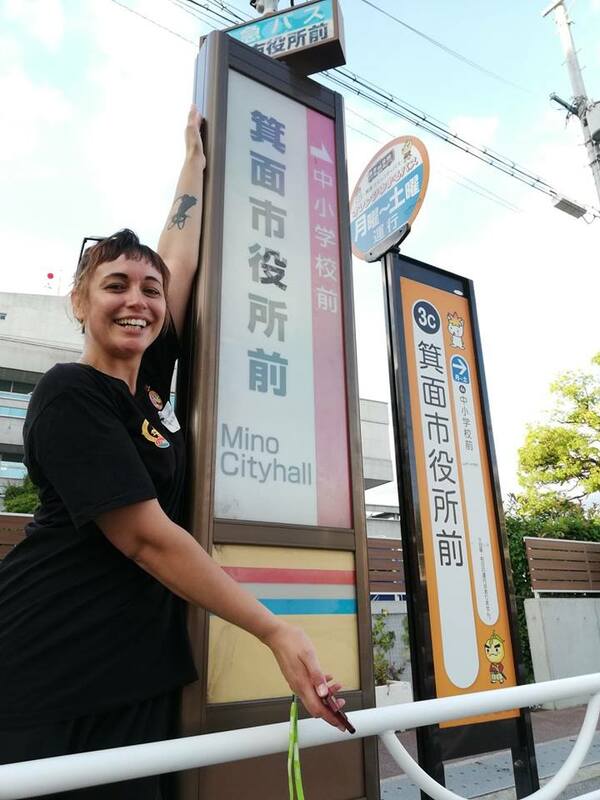 Minoh in Osaka has been Lower Hutt’s Sister City for 21 years. The new JETs: Hannah Van Vliet, Malcolm Pimentel, Martin Wabnitz, April Sului, Thomas Palmer, all met with Mayor Wallace to talk about their exciting opportunity to travel to Minoh, immerse themselves in Japanese culture, represent Lower Hutt and teach English as Assistant Language Teachers (ALTs) in Primary and Junior High Schools for a minimum of one year. To apply for the JET programme, applicants must have completed a university degree in any subject before going through a rigorous international application process. It has taken about nine months since applying to be finally selected. The JET programme is supported by the Embassy of Japan in Wellington who coordinate all the NZ applications. The final decision was made by the Japanese Council of Local And International Relations (CLAIR) in Tokyo, who recently advised the successful applicants of their new city for the next year. Thomas has already had some experience mentoring and tutoring students at university so assisting in classes will not be totally new to him. Malcolm is multilingual and has completed a degree in Teaching English as a Second Language. 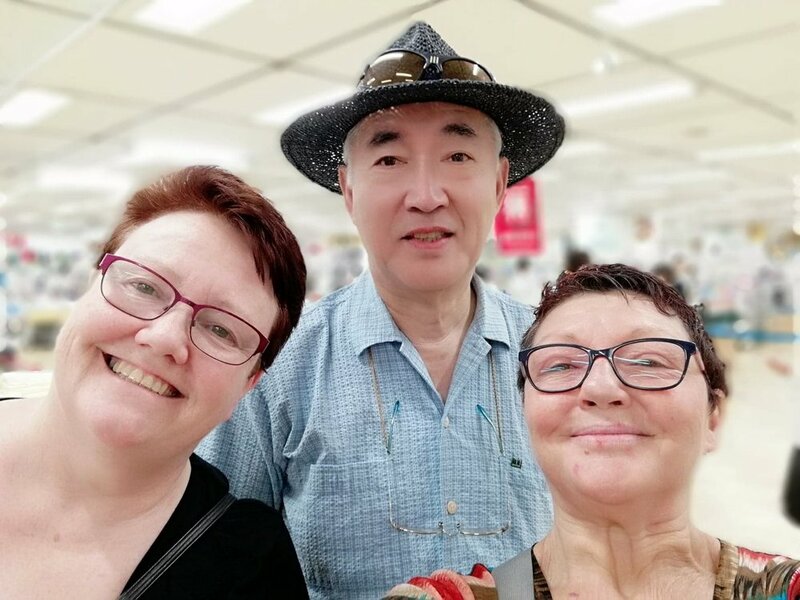 Hannah has completed an honours degree in Japanese language and Martin has also studied Japanese so they have a head start on their colleagues who are learning the basics of Japanese language and culture prior to leaving at the end of the month. Only April has been to Japan before as she has a sister already on the JET programme. Talking about the importance of the sister city relationship with Mayor Ray Wallace. Mayor Wallace was pleased to meet these young Ambassadors who will not only teach English in Minoh schools but will interact with locals promoting their home town and strengthening the Lower Hutt-Minoh Sister City relationship. Four of the new JETs taking part in the monthly Skype session with citizens of Minoh and Lower Hutt. 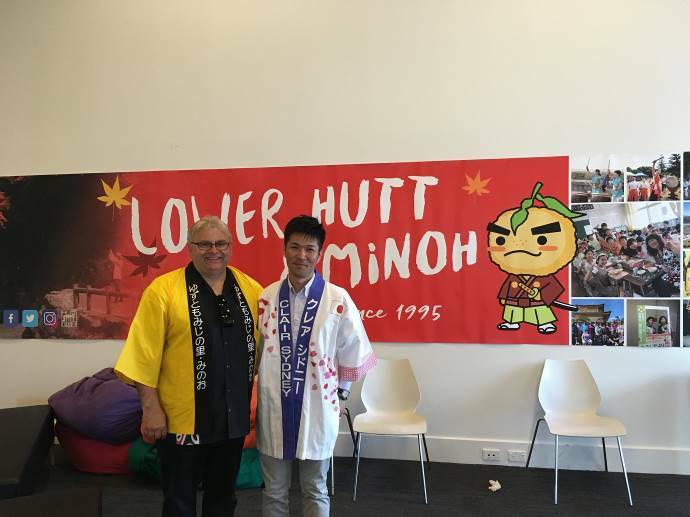 Minoh City Mayor Kurata is thrilled to receive so many young people from Lower Hutt to live and teach in Minoh for the first time in over ten years, since a similar programme finished in 2006. 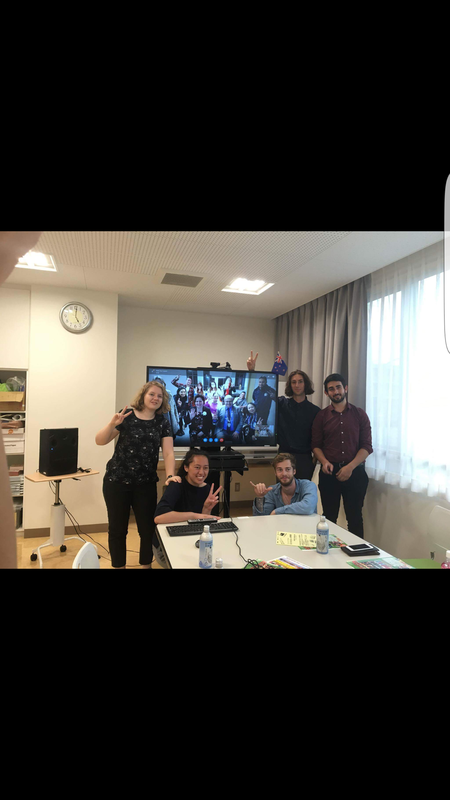 The new JETs will also be very involved with the Hutt Friendship Club, based in Minoh, who Skype with their counterparts in Lower Hutt each month to discuss topics of mutual interest. It will be great to see local faces in Minoh and hear about their experiences. It is just another example of the growing intercultural engagement and continued internationalisation between our sister cities. And if you would like to find out more about Lower Hutt's sister city Minoh, you're in the right place! Lower Hutt and Minoh City celebrated the 20th Anniversary of their Sister City relationship in October 2015. During these celebrations Mayor Wallace and Mayor Kurata signed an agreement to formalise the establishment of the Hutt-Minoh Teacher Exchange Programme (MINTEX). The purpose of this exchange was to provide an opportunity for local teachers to experience educational similarities and differences between the school systems; to embrace the culture and lifestyles in each country and to foster a deeper intercultural understanding and active global citizenship and engagement between the Sister Cities. Hutt City Council and Minoh City Office have worked together to establish this exchange. Two Lower Hutt teachers will travel to Minoh in October 2016 for two weeks to co-teach English and New Zealand Culture in selected schools. To ensure they learn about the Japanese lifestyle and culture, they will be home hosted during their stay. They will also reciprocate the hospitality when two teachers come to Lower Hutt in 2017 on the return exchange. Managed by Linda Goss-Wallace, Projects Manager at Hutt City Council, the MINTEX working group is pleased to announce the two delegates selected to participate in the inaugural Hutt to Minoh Teacher Exchange Programme are: Ardis O’Connor and Michelle Gibson. Ardis teaches at Raphael House Rudolph Steiner School in Lower Hutt. He has been teaching since 1999 and is married with three grown children. Ardis enjoys astronomy, history, music, arts and the great outdoors in Lower Hutt especially mountain biking and kayaking. In 1994-1996 Ardis was a JET Assistant English Teacher at the three Junior High Schools in Nihon Matsu, Fukushima and speaks some Japanese. Michelle is an Early Childhood Teacher who has been teaching for 11 years and based in Lower Hutt. She is married to Michael and mother of 17 year old identical twin boys and very passionate about teaching children. She has always had an interest in travelling but has never been to Japan. She enjoys outdoor activities, music, dance and rugby. Ardis and Michelle will be fundraising for their exchange this year and hosting the Minoh teachers in 2017, so please support them and have some fun as well. Details of fundraising activities will be posted on this website. Minoh and Lower Hutt are to exchange artworks for reciprocal exhibitions in each city this year and next. This followed an introduction when Minoh Art Association President and fellow members were in Lower Hutt in February 2015 to celebrate the 20 year sister city relationship between the two cities. It was agreed to exchange 25 artworks between the two creative organisations to grow further exchange between Lower Hutt and Minoh. Final steps were made in March to complete the collection of 25 artworks donated by Hutt Art Centre members to be sent to Minoh City, Japan. David Balm and Iris Kauffeld, Gallery Manager; photographed above, catalogued and packed the artworks for transportation in time for the 60th anniversary celebrations of Minoh City in June 2016. 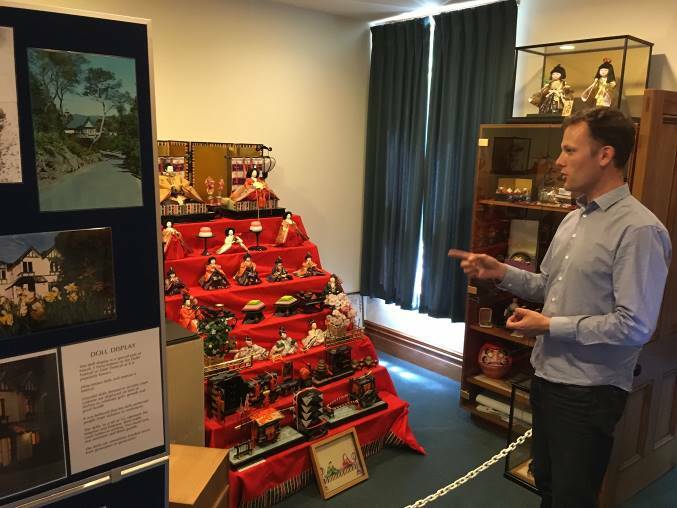 The Hutt Minoh Friendship Trust supported the project with a grant to help transport the artworks to Japan. The catalogue of works will be available shortly to be viewed at Hutt Art Centre. The Minoh Art Association are planning to send a reciprocal exhibition to Lower Hutt to be shown at the Hutt Art Centre in April 2017. We had a fantastic day for our Japanese Martial Arts Expo on Sunday, March 20 with almost 80 visitors on top of all our demonstrators and helpers. 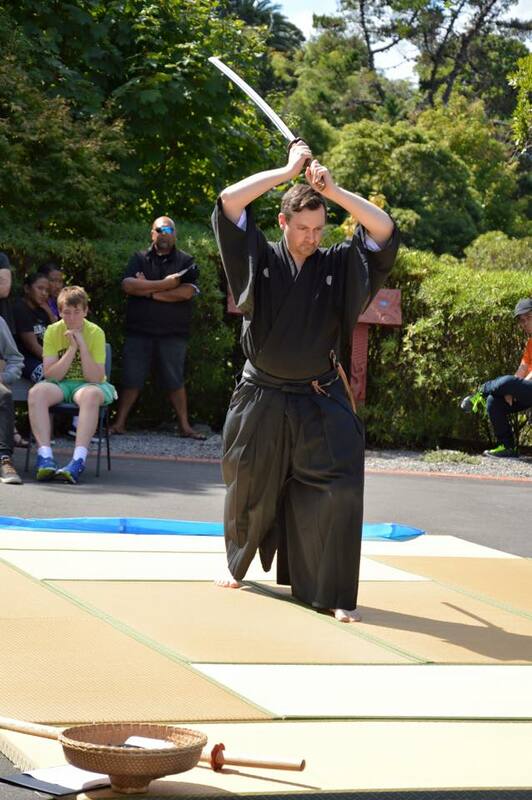 First time demonstrators were Cam Findlay from the Wellington Iaido Club and members of the Wellington Naginata Club. 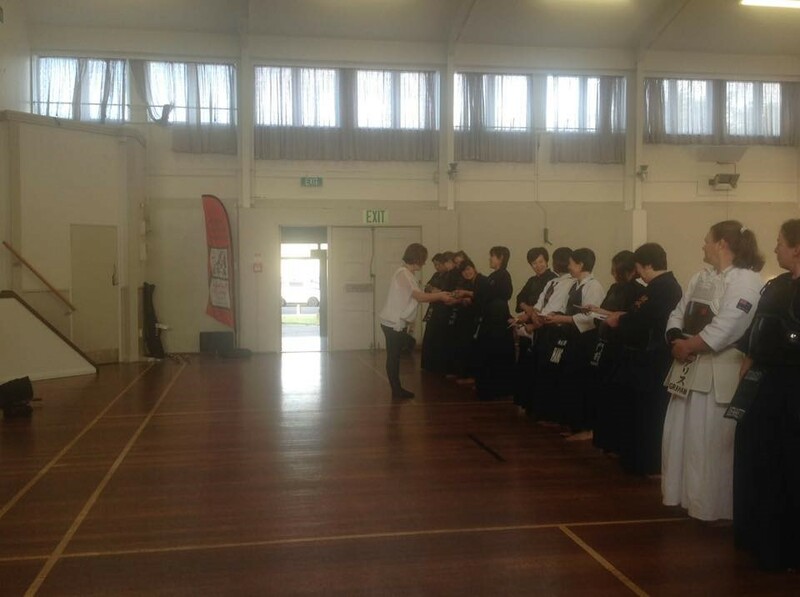 Most representatives of the two clubs are also members of Yoshinkan Kendo Club – Hutt. We were delighted to welcome Miho Maeda from Minoh who has just arrived in New Zealand from Japan. She has been a regular visitor to Minoh House over many years. 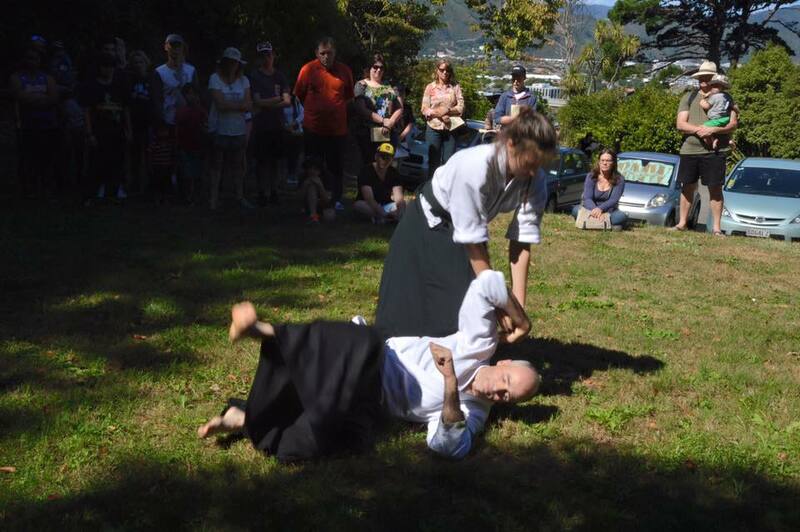 Other exhibitors were the Wellington Kyudo Club (based at Minoh House), Hutt City Aikido and Yoshinkan Kendo – Hutt. High up in the hills behind Minoh I was lucky enough to visit Katsuo-ji Temple. This is a Buddhist Temple that is said to have hosted supreme rulers across various periods in history to worship and pray for fortune in war and it is now known as a the temple of good luck. The word "katsu" in the temple's name refers to winning. We each got a daruma dolls hoping to obtain "winner's luck". A local monk explained the significance of the dolls and custom of drawing in the facial patterns, giving thanks, lighting an incense stick and immersing it in your wish. And through that process found some further inner calm. 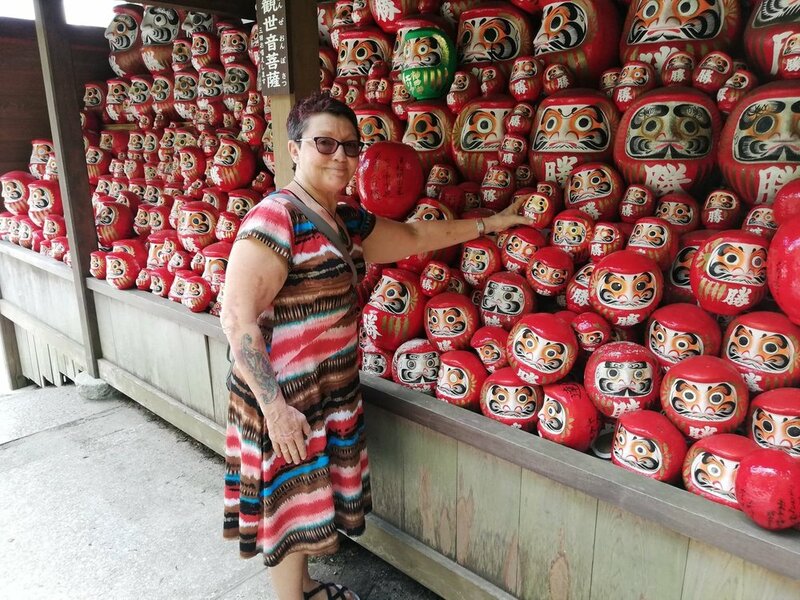 Dozens of daruma dolls returned to the temple after wishes have come true. I've now got it in the lounge so I can focus on my wish and make it come true. When the wish is fulfilled, I'm invited like other visitors to return my daruma to the temple and have it placed somewhere on the grounds as a gesture of thanks. We visited at the tail end of summer and although the leaves were still very much green the bold colours this temple offered was impressive. 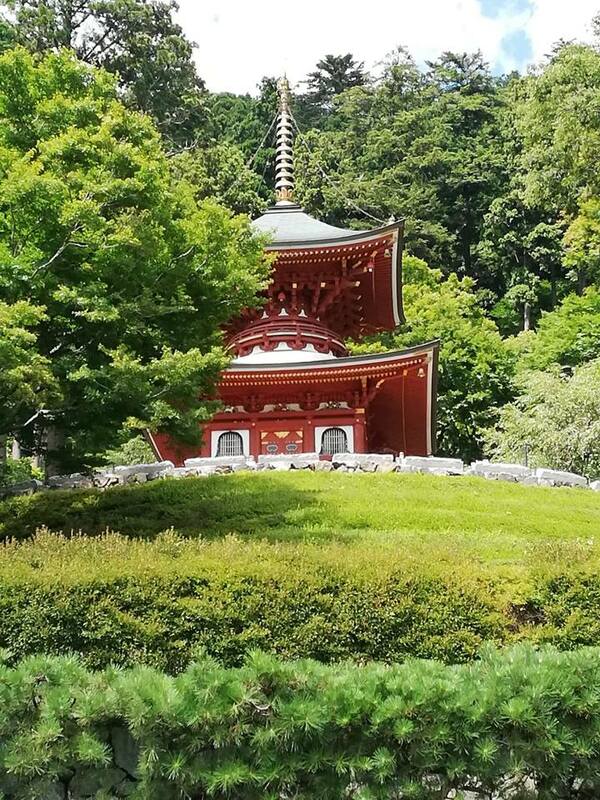 This temple and its environ is as good as (in fact, better than) any of the photos I've seen of this Temple across the four seasons of snow, Autumn reds and Spring greens! Try a google image search on Katsuoji Temple now. 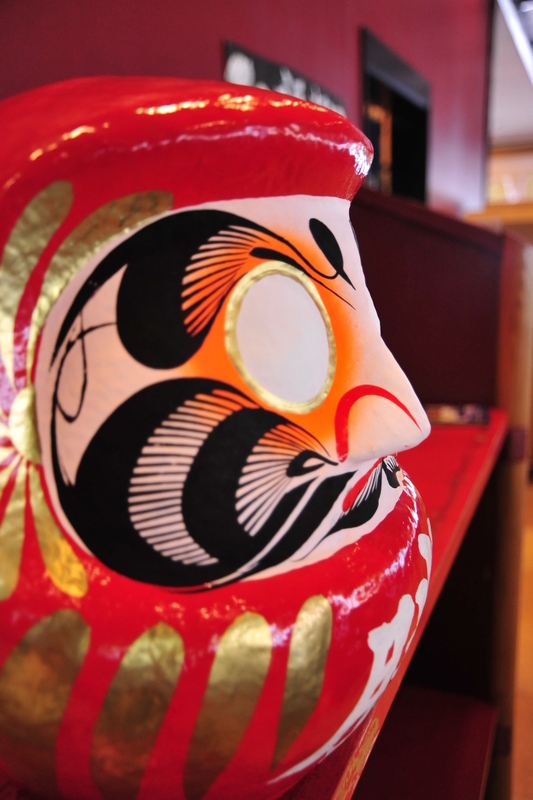 Make sure you leave a good couple of hours to create your own daruma and soak up this beautiful place. Get there by Hankyu bus or a taxi - 15 mins from Minoh Station. 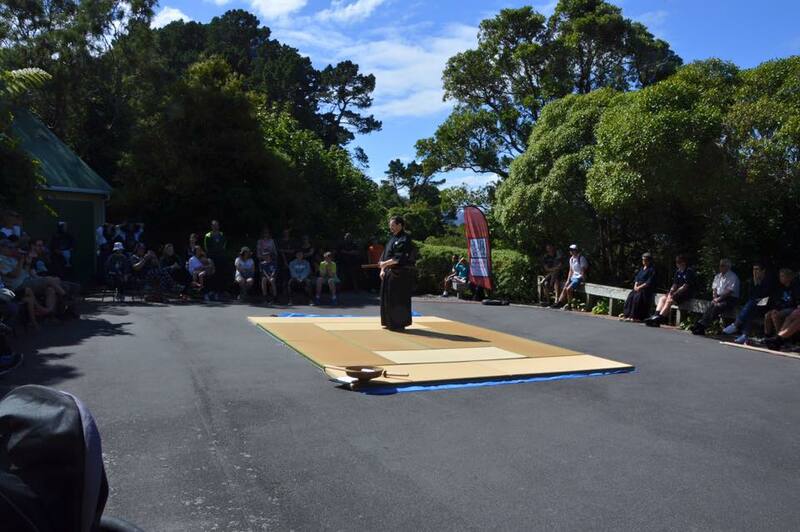 The first public Kyudojo in New Zealand opened on 27 September at the Hutt Minoh Friendship House Spring Festival. It is managed by the Wellington Kyudo Club. New Zealand now has an official 28m Kyudo shooting range complete with wooden shooting platform and a tidy wooden path to reach spent arrows. The Hutt Minoh Kyudojo now has 10 members with ages ranging from 10 to over 60. "We enjoy the beautiful surroundings of our dojo, a place to rest our minds and practice the beauty of Kyudo in New Zealand," says Ms Okazaki. Celebrating this historic event were founder Satsuki Okazaki from Kyoto, nidan having learnt Kyudo for 17 years. In 2003 Satsuki came to New Zealand and started Kyudo practice at the Randwick Archery club. In August 2004 Satsuki was asked to perform Kyudo at a Budo event hosted by the Hutt Minoh Friendship house and this began a strong relationship with this house and it's beautiful grounds. Soon the club had moved to the grounds of this Friendship house and members of the club were growing. Ms Okazaki recalled the Japanese Ambassador to New Zealand, His excellency Mr Saito seeing a demonstration the club gave at an event in Hutt city in 2005. "He sent our club a letter of congratulations and gave us a bottle of Sake, it meant a lot," says Ms Okazaki. She said in the early days, the Japan Information and Cultural Centre provided a great deal of support to her club, too. The club may not have been formed without the persistent requests from Ms Okazaki's first student. He was an American man called Olatunji who had dreamed of doing Kyudo since he was much younger and had seen a Kyudojo in America. Mr Olatunji moved to NZ and while taking Archery at the Randwick Club saw Ms Okazaki doing Kyudo. "Ola san saw me at the Randwick club and kept asking me to teach him, but as a typical Japanese bushi (martial artist) with only nidan (second level black belt grade) I kept refusing," says Ms Okazaki. "Then he asked me to buy him a bow and his equipment. When it arrived he then said, well now I have it, please teach me how to use it!" Mr Olatunji, who is currently the Director of the NZ Acupuncture School has also grown in his study of Kyudo to reach 4th dan black belt, now he is the highest graded Kydosha (practitioner of Kyudo) in Wellington and the President of this Dojo. From these humble beginnings and the support of other kiwi Martial Artists who encouraged Ms Okazaki to teach local people what she knew, this Kyudo club has blossomed. So it was serindipidous that it was under the blossoms of the beautiful Spring festival that this historic event took place. Post Scriptum: The Hutt Minoh House Friendship Trust has supported the establishment of this dojo through a grant to the Wellington Kyudo Club who have constructed it (with input from Hutt City Council) and continue to manage it. Minoh and Lower Hutt have now signed an agreement for a new teacher exchange starting next year. Known to the group who are putting it together on the Lower Hutt side as MINTEX - MINoh Teacher EXchange - the exchange will involve two teachers for up to 2 weeks in schools of both cities. It's expected the teachers will co-teach classes, engage with teachers and students and will include cultural and sightseeing activities too. We're fortunate to have the close support of the Minoh City [Council] Office for this as their remit is to oversee the education of students in Minoh as well as other social welfare portfolios. Tony Stallinger, Ray Wallace, Tetsuro Kurata and Toshio Guda signing an agreement committing to the teacher exchange. Photo. Cameras and more photos. Go to any tourist hot spot here in New Zealand and you'll see visitors to our country taking photos. As locals we might think it's overkill. Until you do it yourself! Perhaps social media has now made us more eager to snap away! Recently I've heard a great piece of advice a couple of times recently. "Put the camera down, put your phone down and soak it up through your own eyes." Admittedly it's just 4 days back in New Zealand now, though the moments I remember the most vividly are those where I did in fact forget about my camera and phone. Just for you, here is my favourite group shot taken at Kinkaku-ji Temple of "the temple of the golden pavilion" in Kyoto. 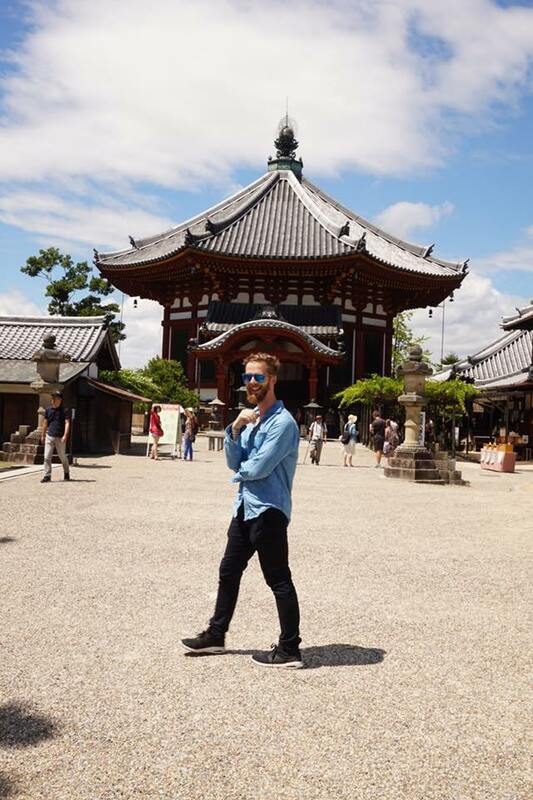 Taking some time to appreciate the special places around us in Japan.